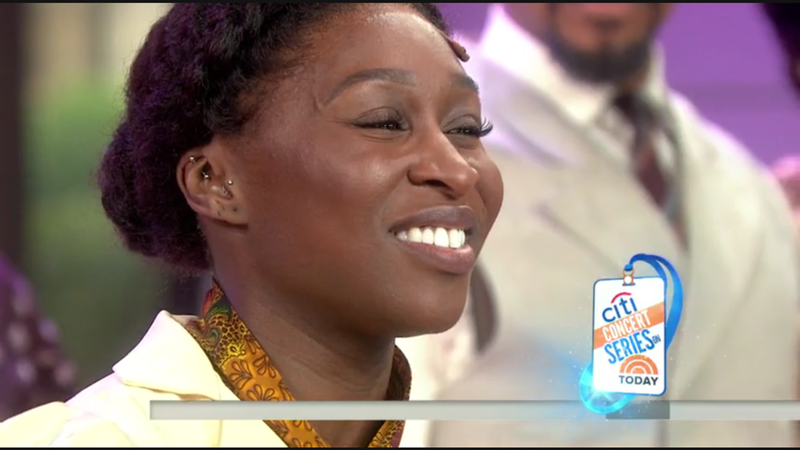 See Tony Nominee Cynthia Erivo & The Color Purple Cast Perform! Today's already been too beautiful words for the resplendent cast of The Color Purple. The John Doyle-helmed revival received a total of four Tony nominations on May 3, including Best Revival and Best Direction of a Musical. Broadway newcomers Cynthia Erivo and Danielle Brooks also received well-deserved nods for their stunning Main Stem debuts. Already a scene-stealer, Erivo's powerhouse vocals were that much more divine during her Today Show performance on this landmark morning for the London native. Check out our full list of Tony nom recipients, and enjoy the luminous performance below!